As the 21st.century has come upon us, thanks to the development of transportation and communication technology, the world is coming closer together transcending space and time. To keep up with this trend of globalization, we have to try our best to better understand other countries and their cultures. At the same time, all the specialists in each field and each country, have to carry on internationally cooperated studies with one another and to foster the global mind and broader viewpoints. It is time for us to leave behind our shortsighted focus on individual or national benefits and pursue long term, global ways of development. 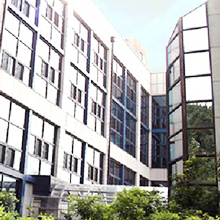 In response to these needs of the new age, Seoul National University established the Graduate School of International Studies(GSIS) in January 1997. To more effectively meet the global demands for skillful international specialists, the GSIS Library was organized and has currently been enlarged. In addition to fostering prospective international specialists, the GSIS Library has contributed to Seoul National University and played a pivotal role in continually building up the materials necessary and useful for domestic area researchers. The GSIS Library is preparing for the 21st century by producing and administering necessary materials. Recently the GSIS Library has developed into a branch library (International Studies Library) of Seoul National University. The New International Studies Library is open to various kinds of international researchers as well as to Korean researchers.